Across the U.S. each year, approximately 6.5 million companion animals enter an animal shelter. The majority of these animals are strays, rescues and surrenders. Unchecked stray populations tend to grow in areas without affordable spay/neuter services. Animals rescued from cruelty can come from situations like hoarding cases, dog fighting rings and puppy mills. These animals often suffer from trauma and require extra care and rehabilitation. Surrendered animals are animals whose owners can no longer care for them due to financial, behavioral or other unforeseen barriers. Many shelters struggle to adopt out all—or even most—of the animals who enter their facilities. Of the approximately 6.5 million companion animals who enter shelters, every year, approximately 1.5 million animals are euthanized. Of the dogs entering shelters, approximately 20% are euthanized. 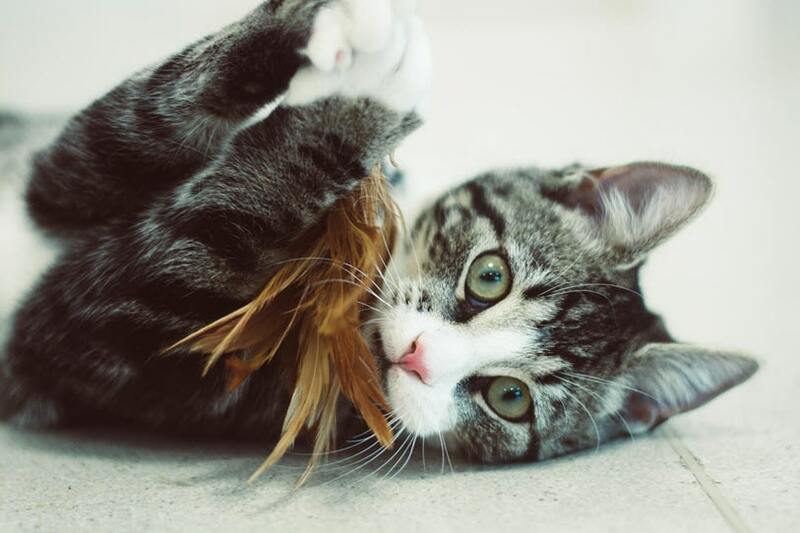 Of the cats entering shelters, over 25% are euthanized. To rescue, rehabilitate and adopt homeless animals and advocate for the well-being of all animals. The sanctuary provides a safe and caring refuge for companion animals, inspires change through education, supports spay/neuter initiatives and advocates for the humane treatment of all animals, and the establishment of a no kill nation. Thanks to our supporters, the Animal Care Sanctuary has been rescuing animals for over 50 years. On any given day, hundreds of dogs and cats are in residence. They come from closing or overrun shelters, areas hit by disaster, owner surrenders, or are abandoned, mistreated or have special needs. Since we have our own veterinary and behavioral team, we are able to give these animals the TIME & CARE they need. Some of the animals we take in would not have a chance in most shelters. Some may have been badly mistreated, never received veterinary care, or never known human kindness. Being a no kill shelter, allows us the time to find the perfect family for each of our animals. As part of our community engagement, our programs offer pet food pantries and our clinics offer thousands of affordable spay/neuter surgeries every year. Our animals, adopters, donors, volunteers and staff are extremely proud of the national recognition earned for our innovative programs. One of which is our participation in Maddie’s Fund, which is the fulfillment of a promise to create a no-kill nation where every dog and cat is guaranteed a healthy home or habitat. The Animal Care Sanctuary has always been absolutely committed to preservation of life. Euthanasia is used rarely and only as a final resort when it has been medically determined that an animal is suffering from a medical condition that is untreatable to allow the animal to maintain quality of life, or exhibits extreme behaviors that are beyond correction and that are deemed unsafe to other pets, people, and to the animal itself. These decisions are only made after careful deliberation by medical staff and other staff affected such as the cattery director, canine care director, behaviorist, executive director and, ultimately, the Board of Directors. The Animal Care Sanctuary is one of the few shelters in the nation that has it’s own veterinary staff. It has adopted the standards of the American Association of Shelter Veterinarians and participates in Maddie’s Shelter Medicine Program at Cornell’s College of Veterinary Medicine. The Sanctuary achieved it’s founder’s (Lesley Sinclair’s) dream of also opening community clinics offering low-cost spay/neuter, vaccinations and wellness services allowing pet owners to keep their animals in their homes. Prior to any adoptions, each animal receives a physical, and as needed, the veterinarian meets with the adopter to explain any outstanding medical conditions, how to care for the animal, and any required follow-up. Having resident veterinarians also ensures that all shelter animals are vaccinated, checked for parasites and disease, spayed or neutered, microchipped, and are healthy and ready for adoption. To assist pet owners, the Animal Care Sanctuary offers animal care workshops, dog training courses, pet food pantries, a canine behavior helpline and a special emergency fund for senior and special needs animals. The sanctuary also offers free behavioral counseling and advice for both cats and dogs. On any given day there are hundreds of animals in residence. The adoption program consistently adopts out approximately 90% of the animals that are taken in, on an annual basis. The sanctuary’s adoption process takes into consideration the needs and lifestyles of both the adopter and the pet. Animals that are not adopted, remain at the sanctuary where quality of life takes precedence. While approximately half of the adoptions are in Pennsylvania, the other half are in NY, NJ and across the U.S.
Public education is another important component of working toward a no kill nation. Humane education serves as a strategy for large-scale change in the quality of animals lives through prevention and intervention programs designed to create a culture of empathy and compassion. The Animal Care Sanctuary believes that in order to be a better friend to animals, we must create a more respectful and compassionate community. Humane education teaches how to establish a human animal bond based on kindness, respect, and responsibility. 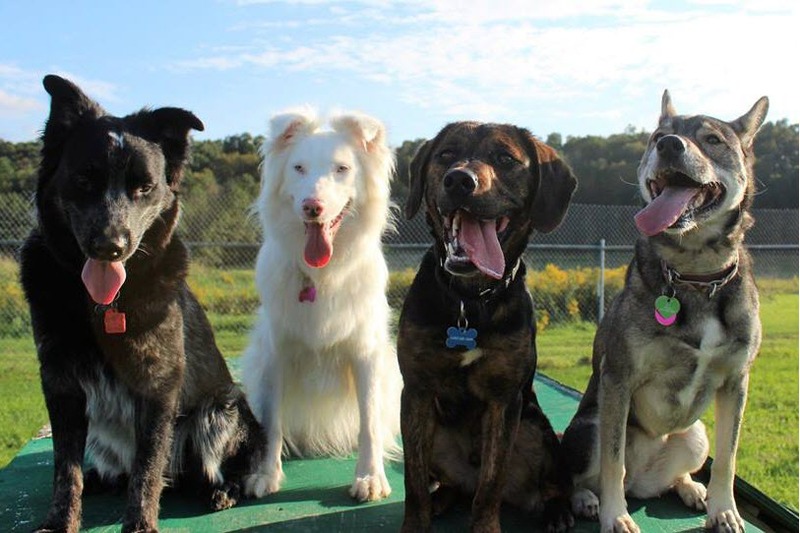 The Animal Care Sanctuary introduces preschoolers to pets at daycare centers and libraries and teaches the joys and responsibilities of pet ownership to elementary and junior high school students. From preschoolers learning how to safely interact with animals, to middle school students being exposed to the anti-cruelty movement, to high school students exploring careers with animals, we offer Humane Education Programs that are designed for specific groups. As an example, the sanctuary is one of 14 participating sites in a national pilot program, Veterinary Science Initiative taught by secondary school science teachers in collaboration with shelter directors. This program was developed by the education team at the Charleston Animal Society in South Carolina, as a model for cooperative education between shelters, veterinarians, and other private organizations to collaborate with local school districts. The Animal Care Sanctuary also offers a unique and exciting experience in a no-kill animal shelter gravitating towards the arts. This internship provides opportunities in art in a variety of areas involved in promoting and advertising shelter animals and is ideal for art students with majors in graphic design and photography who are looking to expand their skill set and gain invaluable experience in using their designs and passion for making a difference. Interns are given the opportunity to experience a nonprofit, no kill shelter housing hundreds of animals. For pre-veterinary medicine and animal science college or university students with a goal of shelter medicine or shelter management, and a commitment to a No Kill nation and financial need, the Animal Care Sanctuary offers an internship program, that to our knowledge is unique in the nation, for a companion animal shelter. The interns experience all facets of shelter medicine/shelter management including advocacy. The interns work with the animals to provide quality care, enrichment, behavior training and socialization in the program designed for optimum animal health and well being. The Karuna Writer’s Residency, co-founded with the Gotham writers provides writers with a stipend and a private room at the sanctuary for two to four weeks. While the writer is residing at the facility – working on their book or stories or poems – he or she also complete a service project that furthers mission for the humane treatment of animals. 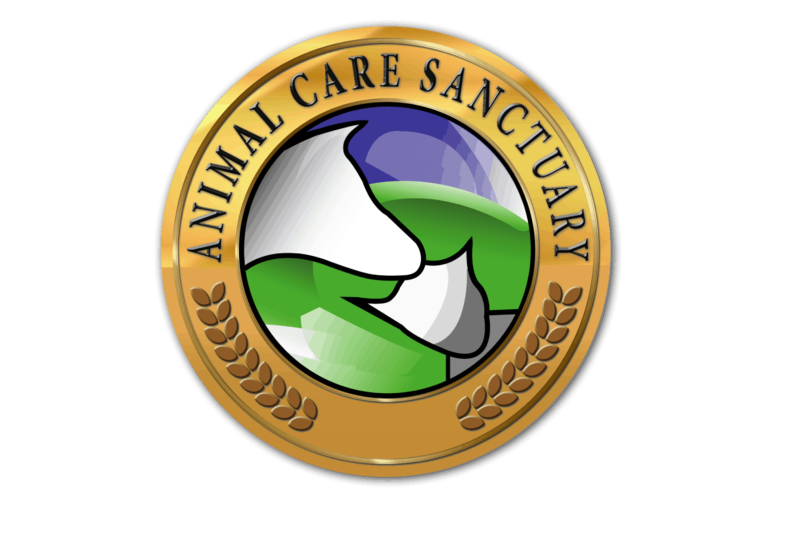 The Animal Care Sanctuary also strongly embraces cooperation across animal shelters. Historically, most animal shelters operated as separate entities, and communication and collaboration was limited; due in part to disapproval of other shelters’ practices, protocols, and general operation, and also due to competition for donations and adopters. The sanctuary for many years, has embraced the model of partnerships and relationships that encourage collaboration and teamwork. One of the many benefits to these relationships is the incredible effect that transports and transfers can have on our efforts to save the lives of more animals. Some recent examples include working with our cat partners in New England (who have a shortage of highly adoptable cats). In 2017, they were able to take 100 of our cats over a year’s time to place with adopters in their area. The best part is that those 100 cats being transferred then made room for us to take 100 more cats, who otherwise may not have had as bright a future. On the dog side, we were able to accept over 70 dogs and puppies from local shelters and from a shelter partner in Alabama. In addition to the more traditional approach of trap/spay/neuter/release programs to address the problem of feral cat overpopulation, the sanctuary also provides an alternative option: barn cat placement. For cats that prefer minimal to no human contact, and are not suited to be indoor pets, they can however, thrive as working cats, policing against rodents and pests for the small price of food, water, and a dry place to sleep and shelter from the weather. The sanctuary will spay/neuter, vaccinate these cats against rabies and distemper, and give a dose a flea preventative and dewormer before being placed. This means they are healthy and ready for the life of an outdoor cat, at no cost to the adopter, and will never populate the adopter’s property with kittens. Barn cats are suitable to be working cats in many environments, including warehouses, greenhouses, breweries, wineries, and residential homes. They do require access to shelter in a permanent building or structure like a shed, barn, stable, or garage, which must be at least half a mile from busy roads. They also require daily food and water. Our Love On A Leash program trains adopted animals (from the Animal Care Sanctuary as well as other shelters) to become therapy animals who are comfortable around walkers, wheelchairs, canes, crutches and beeping machines. After the formal training the pets go to assisted living and skilled nursing centers to greet and meet the residents. The program graduates are then also ready for hospital visits. Within hospitals, the intent is to help address employee compassion fatigue (i.e. the physical and mental exhaustion and emotional withdrawal experienced by those that care for sick or traumatized people over an extended period of time). Pet therapy can ease the anxiety and bring welcome stress relief to the staff. This program also encompasses classrooms and library reading. Our pet therapy pets can attend classes while our volunteer or the teacher reads to the children OR the children read to the pet. The county libraries also request our therapy pets to come and interact with the pre-school children while they read a story.